However, it appears that the millimetre wave radiation component of 5G systems may pose an even greater risk to trees – a risk of sudden death, in fact. In March 2018, the British paper The Sun ran a story with the headline: “5G TREE THREAT New 5G phone system could face reception problems from trees with too many LEAVES”. (See: https://www.thesun.co.uk/news/5838497/5g-phone-system-reception-problems-trees/). 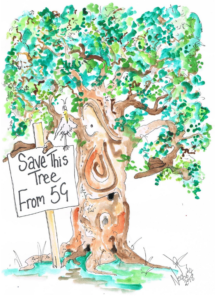 In at least one part of the UK, the local response to the facf that the leaves (and according to the article in the Sun possibly flowers of trees and also rain drops) could pose a problems for 5G networks, the solution appears to be to simply kill the trees. In the English city of Sheffield there is a massive cull of mature, and in many cases, healthy street trees, going on, despite opposition from many residents (https://www.theguardian.com/uk-news/2018/feb/25/for-the-chop-the-battle-to-save-sheffields-trees). 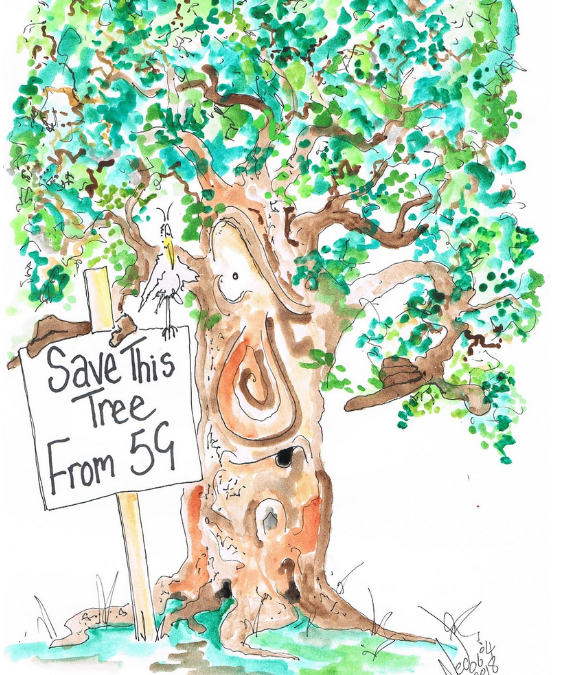 There is speculation that the reason for the pianned destruction of almost half of Sheffield’s street trees is to facilitate a planned 5G system – see https://ninanco.com/food/sustainable-local/deforestation-5g-closer-home-might-think/. If you think the sort of madness that is causing conflict in Sheffield (and depriving many people in Sheffield of the benefits of living near the mature trees that they loved) couldn’t happen in New Zealand, think again. So, do you appreciate the beauty of street trees and the oxygen that they provide for you? If the answer to this question is yes, I hope you’ll think about what you can do to help New Zealand’s campaign against 5G.